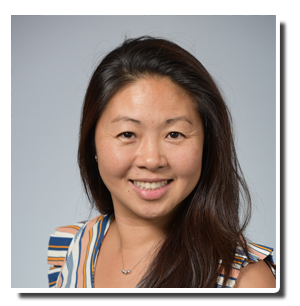 Dr. Jenny Tsai received her Doctor of Dental Surgery degree from the University of the Pacific, Arthur A. Dugoni School of Dentistry in San Francisco, California, in 1999. She regularly devotes her time to advanced training and continuing education, keeping up with the latest techniques that dentistry has to offer. Dr. Tsai believes that self-esteem is directly related to one’s smile. The greatest satisfaction for her is seeing one’s self-esteem transformed through the smile while promoting good dental hygiene habits that can be practiced for a lifetime. Professionally, she is an active member of the American Dental Association, California Dental Association, and San Diego Dental Society. She also serves as an expert Dental Board Examiner for the State of California. Dr. Tsai continues to participate in the community by presenting dental hygiene talks to various elementary schools. During her spare time, she enjoys spending time with her husband and three children. She also enjoys running and skiing. One of her favorite pastimes is cooking and trying new recipes. Although we realize that a trip to the dentist is not high on anyone's list of favorite things to do, our goal is to make your visit with us as pleasant and comfortable as possible. We believe you will find that our office has a calming atmosphere, that our staff is friendly and caring, and that the services we provide are of exceptional quality.